During the summertime people tend to become more relaxed and less vigilant about crime. However, it is during the summer when we see an uptick in preventable crimes due to this very fact. Criminals know that people leave their windows rolled down on their cars making it easier to steal valuables left inside. During the summer months many families are on the go and leave the door to their home unlocked because they forget to lock it or figure they will only be gone for a few minutes. All it takes is a few minutes as you can see in this video. Follow these tips to prevent being a victim of crime during the summer. Lock the doors – Even if you’re only going out for a little while lock the doors. It only takes a couple of minutes for burglars to make off with your valuables. Statistics show that homes that are locked are less likely to be broken into. If a burglar has to break a window to gain entry into your home they will probably move on as they don’t want to draw attention to themselves by breaking a window. Get a dog – Even a small dog is good at keeping your home safe. Homes with dogs are far less likely to be broken in to because criminals don’t want to be seen or caught and they don’t like pain. A dog, no matter how big, will sound the alarm when someone tries to gain entry. Most criminals will avoid houses with dogs. Home Security Systems – Home security systems not only prevent burglaries but they also call help when a fire breaks out or high levels of co2 are detected. Get to know your neighbors – Plan a block party or celebrate National Night Out with your neighbors. The more you do to get to know your neighbors the more you will prevent crimes in your neighborhood. 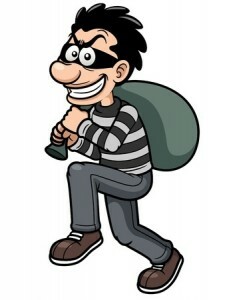 Motion Sensor Lights – In and around your home are a great way to thwart off a potential burglary. Keep your yard groomed – A well kept yard with cut lawn, trimmed hedges and edged sidewalks tells the criminal that you are vigilant. More importantly it tells the criminal you are home. If you are going to be out of town for any amount of town have someone pick up your mail, newspapers and flyers as well ask cut the grass. This goes a long way in keeping your home safe from break ins. It has the added benefit of keeping the neighborhood looking nice.